One of the most historic buildings in the Bay Area, tour this amazing mansion near Santa Clara, CA. Situated among the modern streets and businesses of San Jose, the exotic gardens and towers of the Winchester Mystery House make for a surprising and fascinating daytrip. 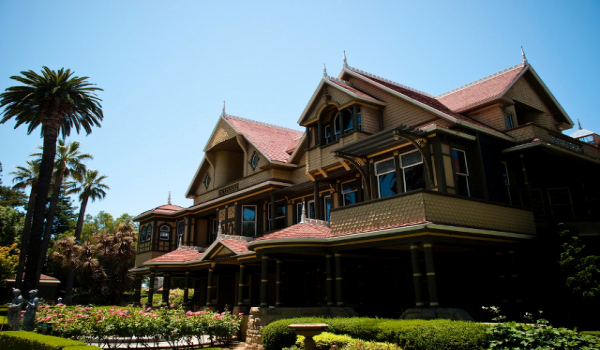 Make the most of your excursion by reserving our Winchester Mystery House Hotel Package. The package features deluxe accommodations, two adult tickets to Winchester Mystery House, and a complimentary continental breakfast. For more information about the Winchester Mystery House Package or to book now, please contact the hotel directly at (408) 244-3366 or select the contact us button and a member of our friendly staff will contact you. Please contact the hotel directly at (408) 244-3366 or select the contact us button and a member of our friendly staff will contact you.